Planning a kid's birthday party can be a real challenge. You want it to be something special and memorable that will stand out from all the other parties you're invited to throughout the year. 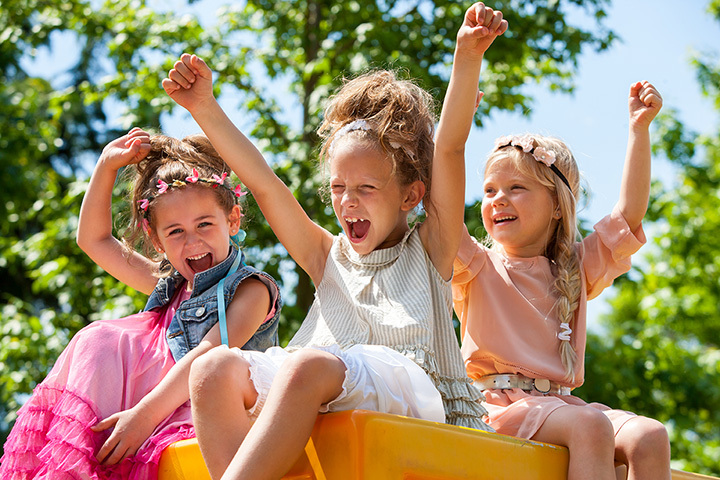 To help make your party planning a little easier, check out these awesome venues to host a kid’s birthday party in Mississippi! Kids Rule! is an indoor play center in Hattiesburg that's perfect for hosting a birthday party. Kids can bounce, run, and play to their hearts' content. The party packages include ice cream, drinks, and party favors for each child, with additional food options available. If you're having a part for a group of little nature lovers, choose Seward Farms in Lucedale. The area is set up with bright "party huts,” and party packages include tons of fun activities including mini golf, a petting zoo, and a hayride. If your child's big day happens to be during fall, you get access to the farm's corn maze! Bounz describes itself as an indoor inflatable playhouse, and they offer two rooms full of bounce houses, obstacle rooms, and more. Parties reserve one of the rooms for two hours, and cleanup is included. Choose Room A for children under five and Room B for kids ages five and up! Bring your own food or choose a pizza package. If your birthday kid loves baseball, there's no better way to celebrate than at Trustmark Park with the Mississippi Braves. Party packages include plenty of food for the kids, an M-Braves cap, and Fun Zone wristbands. Then in the middle of the fifth inning, the birthday boy or girl gets to go on top of the dugout while the crowd sings Happy Birthday! The Salvation Army's Kroc Center in Biloxi is a community center with plenty of options so you can design the perfect party for your little one. Choose an Indoor Pool Party, an Art or Music Party (with an instructor-led lesson), or a Princess Party complete with make-up, nails, and finger foods. Another great option for a nature-themed party, Kidz Kountry in Southaven wants to help make your child's special day something to remember. Ride the cart with Buttons the Pony, bottle feed calves, pet the rabbits, and play fun games like Turtle Racing. And the party goes on in the barn, so no worries about the weather! When Margaritaville was being rebuilt, it was envisioned as a family-friendly resort. Choose from three party packages, each of which includes a party room with a host, as well as pizza, ice cream, soft drinks, goodie bags, souvenir cups, and play cards for the arcade. The Birthday Child gets a complimentary t-shirt, too! HealthWorks! is an educational center devoted to helping kids make healthy choices, but they also offer a lot of fun activities. They offer customizable party packages which include everything from crafts to an available inflatable obstacle course. Parents will love that the HealthWorks! staff provides setup AND cleanup! If your crew has plenty of energy to burn, they'll love a party at Altitude Trampoline Park. The team at Altitude will help you with everything from start to finish, and parties include two hours of jump time. You can even schedule an overnight slumber party for a really special treat!